The award recipients will speak as part of the PASAbilities Plenary session, sponsored by Kimberton Whole Foods, scheduled to begin at 10:15am on Saturday, February 6. The PASAbilities Plenary is included with standard conference registration, but attendees interested in only the award ceremony can purchase a Saturday Keynote Only attendance. The awards will be followed by keynote speaker Laura Lengnick of Cultivating Resilience, LLC, her climate risk management firm. 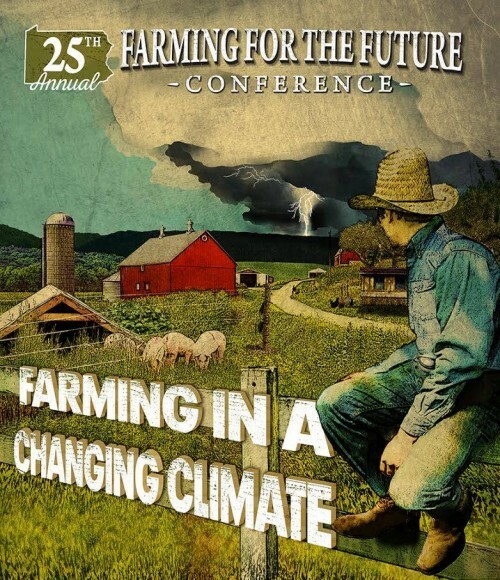 Now in its 25th year, the annual Farming for the Future Conference has grown into one of the largest and most respected gatherings on sustainable agriculture in the country, a multi-day affair comprising intensive pre-conference tracks, two plenary sessions and over 100 main conference workshops. Attendees of the PASA Conference will have the opportunity to network with over 2,000 agriculture industry workers, students and community and business leaders, participate in workshops, trainings, exhibits and receptions showcasing regionally sourced foods and enjoy many unique special events. The Friday morning keynote address will be given by renowned climate scientist and author Richard Alley from Penn State University. The Farming for the Future Conference is made possible in part by Opening Keynote sponsor Lady Moon Farms and PASAbilities sponsor Kimberton Whole Foods. Registration is open to the public; pre-registration closes at 5pm on Monday, January 25. To register and view a full schedule of conference programming, visit pasafarming.org/conference. Walk-in registration, at an increased price, will also be available to those who do not register in advance.